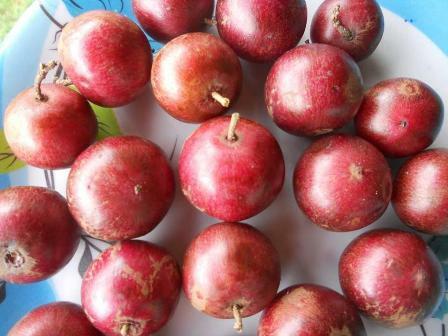 Batoko plum seems to have been originated the tropical Asia, including Malaysia. 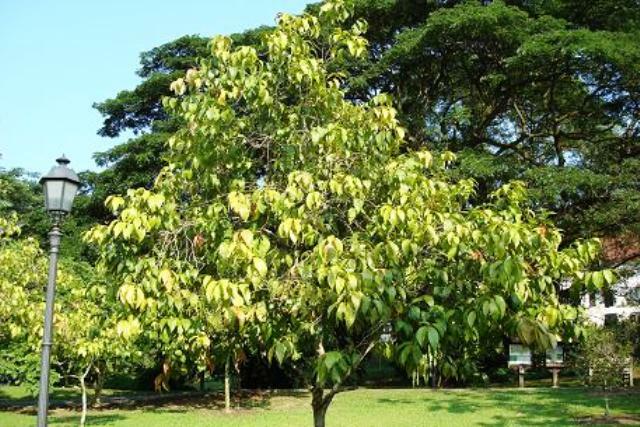 However, now it is found only in a cultivated or semi-cultivated state in tropical Africa, southern Asia, and Pacific Islands to Philippines. It has also reached now in the New World tropics. 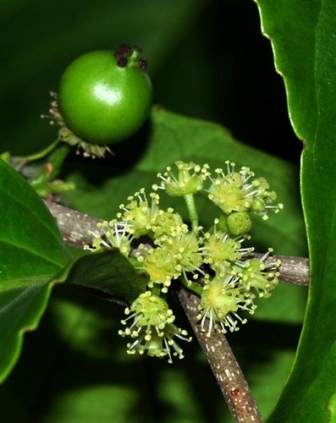 A large shrub or small tree, 8-10 m tall, dioecious, with light brown smoothish bark, twigs sometimes have spines at leaf bases. Leaves alternate, with petioles 6 – 9 mm long; blades are 5-20 cm long and 2.5-8 cm wide, long-pointed at apex and short-pointed at base, thin or slightly thickened, becoming hairless or nearly so, the long curved side veins slightly sunken. Flowers small, yellowish, about 6 mm long and broad, borne in short clusters at leaf bases, male and female flowers on different plants. Fruits round shiny looking like cherries, red, purple, or black, 1.2 – 2.5 cm in diameter. Seeds small, 8-10 embedded in juicy pulp. The fruits though sour, are edible. These are rich in pectin and therefore make good jelly and preserves. Batoko plum trees are planted for its edible fruits. There is a spiny variety too, which is planted for hedge. New trees are raised from seed. Batoko plum can also be propagated by marcottage.